Abortion could not be a more personal decision. It depends so much on how you define life, on how you were raised, whether you have religion, whether you have money, whether you have support. FORGIVE me dear reader, I usually use this page to rage about politics, but this week I'd like to think out loud about something far more important - loneliness. It was R U OK? Day on Thursday and sure, many mouthed the words about reaching out to mates and taking care of each other, but how much do people actually do it? 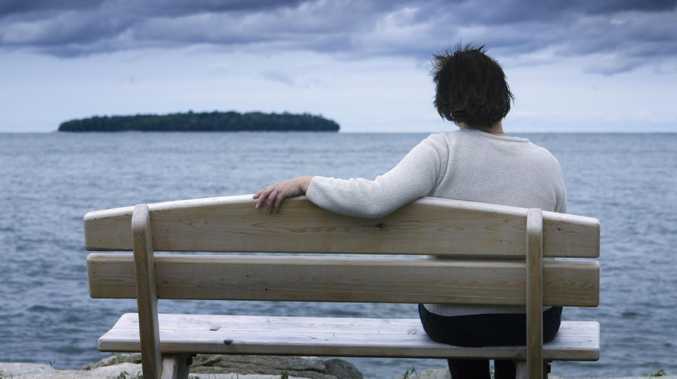 A couple of weeks ago Lifeline released a survey of 3000 Australians that showed 60 per cent of people are lonely and 82.5 per cent think it's increasing all over society. I don't know why, but surely the fact people don't seem to care when they hear a statistic like that is part of the problem. Maybe we are all too busy to care, but if you take out all the distractions we pretend are the important things we 'have to do' today, loneliness isn't that strange a concept to understand. Perhaps so many people told Lifeline the problem is getting bigger because it feels like society is aimed at the individual, rarely the collective. You may have lived in the same city, town or suburb for a while. But do you feel part of the 'community'? I'm always in awe of how many Australians are volunteers. According to Volunteering Australia, there are more than six million people who give their time to causes, clubs and organisations they hold dear. So what do the other 19 million people do? For 2.7 million people there's no time to volunteer because they are caring for someone in their family in need. According to Carers Australia the average age of a carer is 55 and their main role is to take care of their parents; 856,000 are primary carers for their family members due to disability, illness or age; and, stunningly, one in 10 carers are under the age of 25. In money terms, if someone was getting paid to do what they do, it would cost more than $60 billion dollars. Then there's a number that's getting bigger by the year. More than a quarter of all homes in Australia have just one person living in them. The average age of women living alone is 64, for men it's 54. The biggest reason for men living alone in their middle age is family separation. All these statistics aren't intended to be depressing reading, but they are some of the many parts that lead to the overall problem of loneliness. A problem we can't simply ignore and hope our lives will somehow escape the many factors that pull us away from each other. In the UK, the government has a minister for loneliness, and while I'm not advocating for anything like that, we clearly need to do a whole lot more to reach out to the people our fast-moving, and largely image-obsessed culture leaves behind. A small step is to think of the people in your own circle. Pick up the phone and call them for no other reason than to say "hi". Take a moment to talk to the person behind the counter at the shops and try to ask them a real question about their day. Invite a mate you haven't seen in a while to watch the footy at the pub, or maybe take the two hours you wanted to spend watching a movie to talk to the oldest member of your family instead. These won't cure the problem, but we need to take the time to let everyone know someone knows they are here and we need them around for a lot longer. If you or a loved one need extra support, Lifeline Australia provides free 24/7 telephone crisis support on 13 11 14. Other services and tools can be found at www.ruok.org.au/findhelp.